GlaxoSmithKline signed a $300 million research and development deal with mail gene profiling company 23andMe, gaining access to four million customers DNA information. Health and ancestry service 23andMe sends out home-based saliva collection kits to its customers. GSK said in a statement that the four-year long “collaboration will focus on research and development of innovative new medicines and potential cures, using human genetics as the basis for discovery”. With over five million customers, 23andMe offers the opportunity to learn more about family trees from £55 ($73) or expand the service to include DNA health check for additional £50 ($65). Nearly four million of existing 23andMe customers consented to participating in further research and this army of records is the focal point of GSK’s interest in the company. On average one customer’s DNA sample presents a potential for 200 different personalised research studies. 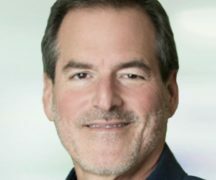 Hal Barron, chief scientific officer and president R&D, GSK, said; “We are excited about this unique collaboration as we know that drug targets with genetic validation have a significantly higher chance of ultimately demonstrating benefit for patients and becoming medicines. Pharma companies often spend long months on precise R&D target selection. Access to the 23andMe database will not only allow GSK to cut down research time, but will also contribute to increasing probability of success in particular indications and to minimising unwanted safety risks. Anne Wojcicki, CEO and co-founder of 23andMe, commented: “This collaboration will enable us to deliver on what many customers have been asking for – cures or treatments for diseases”. Big pharma often reaches to genetics to improve drug development process. California based Amgen acquired DeCODE Genetics in Iceland a few years ago to access its genetic database. NYC’s Regeneron made a very similar move when partnered with Geisinger Health and UK Biobank.